Whether you're a karoake singer or preparing for an audition, the Pro Vocal series is for you! The book contains the lyrics, melody & chord symbols, and the online audio tracks include demos for listening and separate backing tracks so you can sing along. Perfect for home rehearsal, parties, auditions, corporate events, and gigs without a backup band. 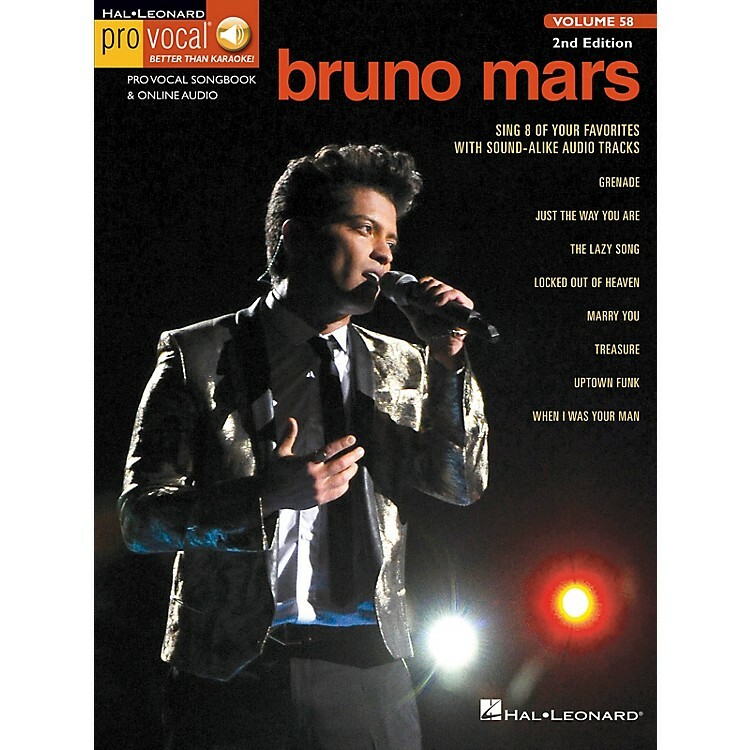 This volume includes 8 songs: Grenade · Just the Way You Are · The Lazy Song · Locked Out of Heaven · Marry You · Treasure · Uptown Funk · When I Was Your Man.